Kate comes to APR with 17 years of client-side and agency experience centered in marketing services and operations; inclusive of integrated marketing planning, content strategy, creative development, production, agency management, branded entertainment, measurement, optimization and media planning and buying. She is passionate about the intersection of content and media and embraces marketing and ad technology in pursuit of it. Her ability to bridge the old and new media worlds fluently for creative agency partners is unique. Most recently she oversaw Marketing Operations for Conagra Brands amidst a marketing transformation for the company. Kate led integrated marketing planning, content strategy and production for the 20+ brands in the Conagra portfolio supported by Marketing Activation. She believes clients should employ a myriad of partners to create, curate and license content for brands to achieve the greatest bang for a client’s buck. Her leadership at Conagra prompted Brand Innovators to name her to its “40 Under 40 Midwest” class of 2017. Kate has also led robust branded entertainment partnerships with many media partners such as NBC, ABC, Scripps, Discovery, ESPN, Disney, Nickelodeon, Meredith, Adult Swim and Vice. 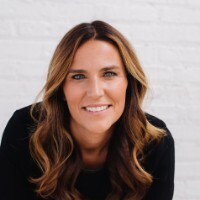 Prior to Conagra, she held posts at The Media Kitchen, OMD, Mindshare and TBWA/Chiat/Day managing media and branded entertainment partnerships across a variety of clients such as Victoria’s Secret, J&J, Nissan, Diageo, Kao Brands, Novartis and ONDCP. Outside of work, Kate and her husband are trying to keep up with their daughter Hudson (6) and son Trevor (4). She loves the outdoors, traveling and anything to do with health and fitness. Copyright © 2019 Advertising Production Resources, Inc. All Rights Reserved.